When children are born there are moments in the infants life where people look in wonder. Just yesterday I attended a baby blessing and the question was asked about all the possibilities of the child. What type of person they will be. What impact they will have on others around them. What will be their legacy. When Jesus shows up at the temple we find a similar response as seen prior and the rest of his life. People sing. Folks who may not have been able to hold a note are now song writers to God. Simeon is in the temple. We don’t know a lot of details about him but what we do see tells us about the character of the man. First we learn that this man was pious. His righteousness and devout demeanor demonstrates that he walked with God. His absolutes were not found in himself. Was he born this way? Did his parents sit in wonder about whether Simeon would be this type of man? Only God knows. We also know that his concerns were beyond himself. Luke tells us that Simeon was “looking for the consolation of Israel (vs. 25. )” Only the righteous concern themselves with the concerns of God. And devout people learn to be concerned with others more than themselves. There is something inside them that provokes them to greater meaning and purpose. Lastly Luke gives us the reason why a man would hold out in order to see deliverance come for people. He gives us the reason how a man can serve with great patience and maintain devotion when it seems long sense God has heard His cry. The evidence of the promise is he secures God’s promises and makes a servant persevere until the day of God’s deliverance. It must be strange waiting for the answer for a nation and not know exactly what you are looking for. Will there be a post it note on the person who is the savior? 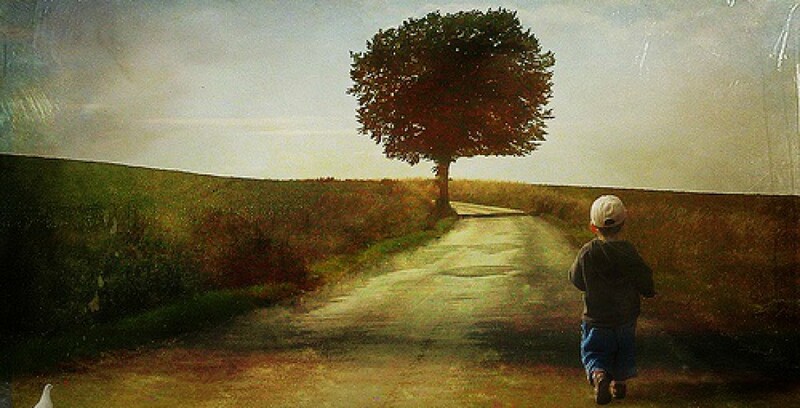 Will God open the sky and say “this is my son”? Waiting usually makes us edgy and uncertain. It makes us think “no” and “wait” are the same thing. Simeon is devout and the Spirit secures objective hope. When Jesus arrives somehow Simeon knows and breaks into song. He tell he is a slave and that its ok for him to die now because He has “seen Your deliverance.” God has made it abundantly clear that salvation has come for all peoples. A deliverance through revelation to the gentiles and and deliverance of glory for the Israelites. Before they departed full of joy and wonder, Simeon turns the corner on the hymn (2:34-35) blessing the family. But he reminds them of the costly grace of God: THIS child is going to cost everyone something. To Israel it will mean leaders will go and some new ones will have to lead. To others it will be a question of whether they will oppose Jesus. A question about kingdoms and glory and purpose and suffering and the cross. For everyone there is the question of the heart. Every heart will be examined by Jesus and all the bad parts will be purged. Mary was warned that this will not be painless….for anyone (Jesus, Israel, Mary, etc.) Only one will bear the brunt of the cross but all will have pain. Another hymn sends Mary and now Joseph into amazement. He is the child that for every word spoken about Him He would fulfill. Everybody is singing about this child named Jesus. 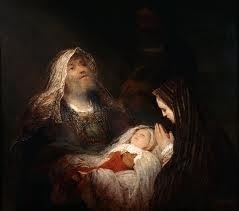 I wonder how long Simeon continued on before he departed this earth into the presence of God to sing to Him forever.